My Word! 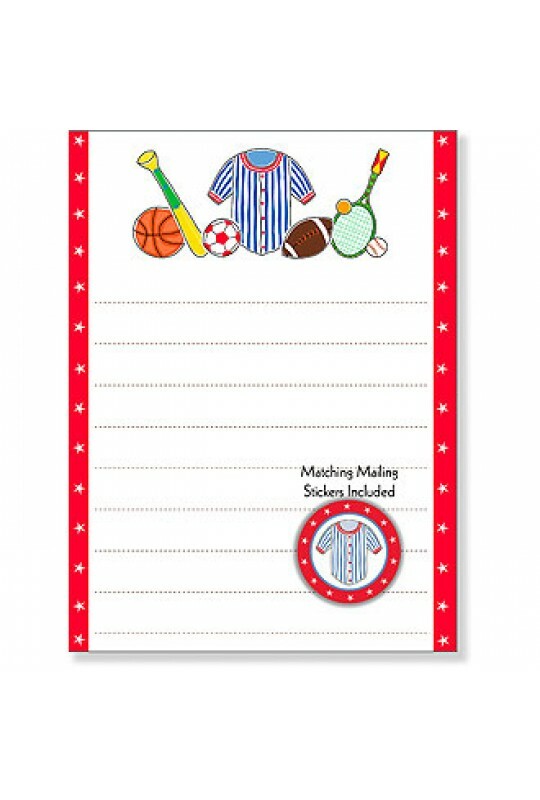 Little sports fans will love sending letters on stationery designed just for them! 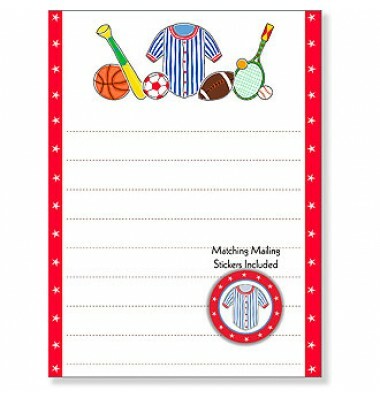 Our kid's themed lined stationery features a sports theme with a basketball, baseball and bat, soccer ball, baseball jersey, football, and tennis racket. We also include matching envelope seals for that extra special touch! !